You can enter multiple times within a month. 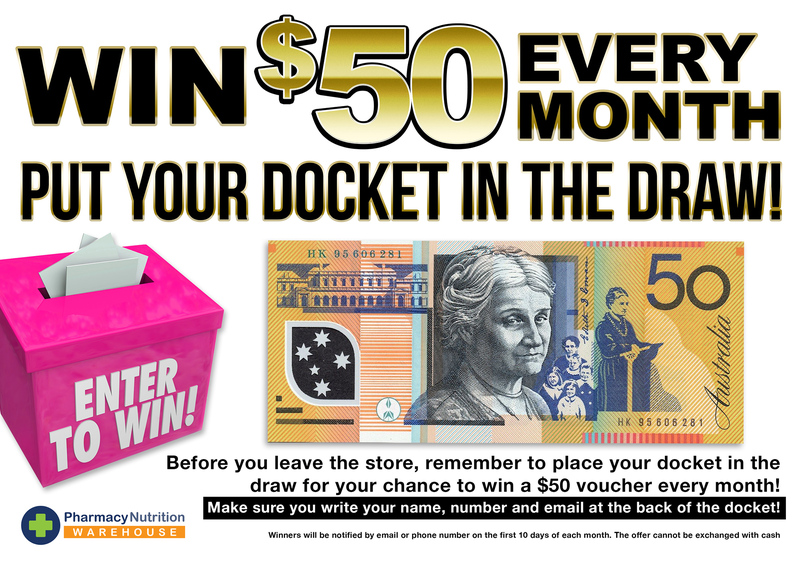 That means that you have more chances to win the $50 gift voucher at the end of each month. The gift voucher you will receive will be valued at $50 and cannot be exchanged with cash. In order to be able to redeem its value, you must use it within its expiry date at any Pharmacy Nutrition Warehouse stores. Expired vouchers will not be accepted and their value is no longer valid. The vouchers must be used at their entire value at one and single transaction.